Microbial Bio-process is an industrial-research and educational-based Unit specializing in fermentation and related areas. This Unit carries out both basic and applied research in the areas of microbial physiology, fermentation technology and applied microbiology. Our main focus is on the research of biological processes involving the use of bacterial, fungal, yeast and enzymatic biocatalysts. 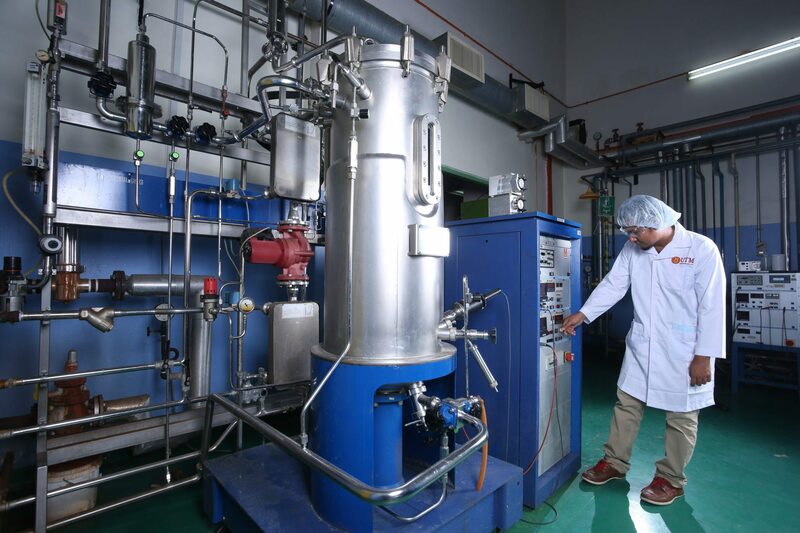 This unit also implements broad educational research whose coverage ranges from traditional technology to the forefront of bio-processing technology and fermentation, and fosters students whose posses comprehensive techniques appropriate for modern industry. The Microbial Bio-process Unit are equipped with modern facilities with state of the art microbial fermentation and downstream processing equipment including fermentors with working volume up to 1500 liters that can be used for bacterial, yeast and fungus fermentation work, using different feeding strategies for process optimization. Our Bio-processing Engineering Laboratory is awarded a Bionexus Partnership (BNP) status by Biotech Corporation Sdn Bhd from 2009 until present. Under this grant-scheme program, we are upgrading our facilities and equipments for better services to our client mainly local companies involving fermentation cultivation, contract research and consultation works.